"MetroStar" encourages singers to present well-rounded stage performances in which creativity, innovation and authenticity are prized over vocal fireworks. Open to solo singers and vocal duos of all ages, backgrounds and styles who have not played a major engagement at the Metropolitan Room, which is defined as a 4-show prime-time run of the same show in a fixed period. 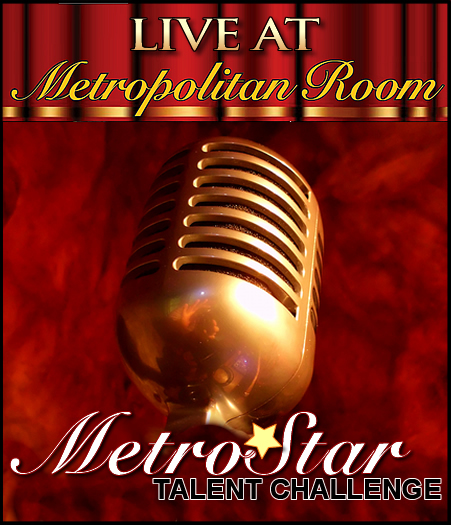 MetroStar" offers a career-boosting package of prizes and professional encouragements, including a fully produced primetime Met Room engagement and live recording.